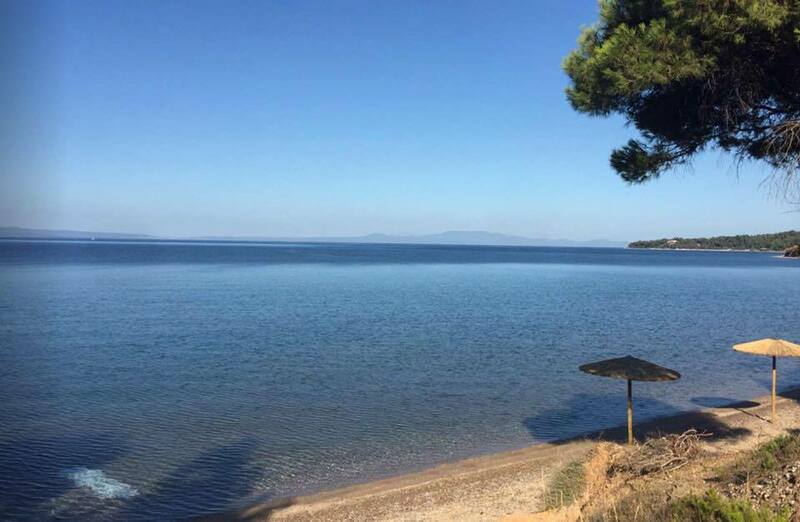 35 minutes from the Thessaloniki Airport ”Makedonia” next to the city. It is a complex of 14 villas and 4 double rooms with panoramic sea view even from your pillow. It features swimming pools for adults and children in a garden , from which one begins a path that runs through the pine forest leads to a beautiful beach where the sea joins the forest. 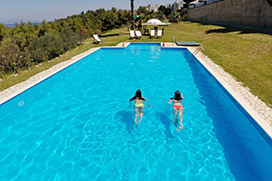 The Paressa Villas offers high quality accommodation for the entire family and promises a holiday experience that will remain indelible in your memory . Paressa Villas is characterized by the view, the same through out the villas, which are magnificent landscape reminiscent of a painting as the water spreads beneath the dense pine forest that succeeds the garden. Escape from it all and take a break in an environment that will carry you and revive you and where nothing can insert the peace of it. That is why the Paressa Villas is the perfect place for relaxation, peace and tranquility . Enjoy relaxing moments with your family in the pools of Paressa Villas. Relax in the large swimming pool in the garden surrounded by the forest and let your children play in the two children's pools . The unbeatable location Paressa Villas extends the complex of pools surrounded by forest. You can swim with your family in a safe physical environment . For endless games ! From the courtyard of Paressa Villas starts crossing the path where one can reach through the pine forest to a beautiful natural beach which is located 200 meters from the complex. 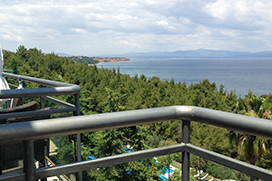 There you will find deck chairs and umbrellas and you can enjoy swimming, relax and sunbathe.